Old world access and security models, still allow anyone to knock on doors & rattle the windows of your environment. You’ve tried to fix this by puting fences, gates, hedges, bars on windows around your building to protect them. Sure this made it harder for bad people to get in, but it still meant people could see your building, gates and doors. This never stopped anyone from still trying to pick your locks or smash over your gates. Thus learn how Zero Trust Security with ZPA will make your ecosystem and solutions go completely dark & thus ensure only those who have been allowed can get access. Plus qu’un accès rapide et sécurisé à Internet, offrez de la valeur à vos visiteurs grâce au partenariat innovant entre Cloudi-Fi et Zscaler. Rejoignez-nous pour ce webinaire de 45 minutes, qui vous permettra de découvrir comment les solutions conjuguées de Zscaler et Cloudi-Fi peuvent vous aider à améliorer et sécuriser l’expérience phygitale de vos clients. Offrez un accès rapide et sécurisé au Cloud avec le plus haut niveau d'intégration technologique de l’industrie : Microsoft + Zscaler. Offrez une expérience utilisateur rapide et sécurisée à Office 365, comme le recommande Microsoft. Découvrez et contrôlez les applications Cloud et le Shadow IT sur ou hors réseau. Sécurisez l'accès à distance aux applications privées sur Microsoft Azure, sans avoir besoin de VPN. Rejoignez-nous pour ce webinaire de 45 min, qui vous permettra de découvrir tous les points importants du partenariat technologique Microsoft et Zscaler pour accélérer et sécuriser votre transformation vers le Cloud. Zscaler constantly innovates its offering and capabilities with the objective to provide best security protection and user experience. Zscaler 5.6 was released in October 2018 and brings a wealth of new capabilities. During this session, you will learn how to best leverage the investment you have made int he Zscaler platform. Our experts will be covering all new security features such as Company Risk Score, Threat Insights Plugin, Threat Library, SCIM authentication and many more. We have surpassed the market demand for BYOD and 3rd Party access, as user behaviour and cloud adoption challenge the suitability of network services. Innovation and identity driven security solutions are helping our customers to realise a move to zero trust. Unlike many other industry trends the adoption of zero trust brings immediate benefits associated with business and operational agility, user experience and identity driven security. IT teams have begun to leverage a zero trust security strategy that builds a framework to accommodate private application and 3rd party access; Accomplished without placing users on the network and in many cases without the need for a mobile client. Transition to this model is low impact and provides immediate value to both IT and business outcomes. Join Zscaler in a discussion of how Zscaler Private Access (ZPA) enables you to deliver the experience users want, with the zero trust security you need. - Key concepts of zero trust security. - Best practices for private application access. - ZPA’s new Browser Based access solution. - How our customers are already deploying and benefiting from our Zscaler Private Access service. Most security gateways are like a coconut, once you're through the hard shell, you have access to everything. Zscaler is different. We give you security all the way through the stacks for known and unknown threats, on all devices. The concept of backhauling traffic to a centralized datacenter worked when both users and applications resided there. But, the migration of applications from the data center to the cloud requires organizations to rethink their branch and network architectures. What is the best approach to manage costs, reduce risk, and deliver the best user experience for all your users? Join this webcast with Zscaler Sales Engineer, Neels Scheepers to uncover the five key requirements to overcome these challenges and securely route your branch traffic direct to the cloud. On May 25, 2018, the General Data Protection Regulation (GDPR) will go into effect. Are you properly prepared? According to Gartner, not many will be: “By the end of 2018, over 50% of companies affected by the GDPR will not be in full compliance with its requirements". You don’t have to be one of these companies. One of the first steps is to recognise that GDPR isn't just an IT problem — it affects almost every department — and building a cross-functional team with goals and clear lines of communication is critical. With May 25, 2018 not far away, what should the GDPR project plan look like? Who should be on the GDPR team? This isn't just an IT challenge. What should the priorities be? Data flows, reasons for data retention. What security controls should be in place? Encryption, logging, access control, authentication, data mapping. What about Shadow IT? We don't know what we don't know. GDPR is a big, important undertaking. Your ability to ensure that all departments and stakeholders are working together with the IT team will be a key element of compliance. We hope you will join us. Back in the day when your users were all on the network and your applications resided in your physical data center, it made sense to establish a secure perimeter around your network. But those days are over, the perimeter is gone, and network security is all but irrelevant. Instead, you need to put your defenses and controls where the connections occur— the internet — so that every connection is fast and secure, no matter how or where users connect or where their applications reside. By moving applications and infrastructure to the cloud and untethering employees from their desks, you can realize tremendous advantages in productivity, agility, and cost containment. 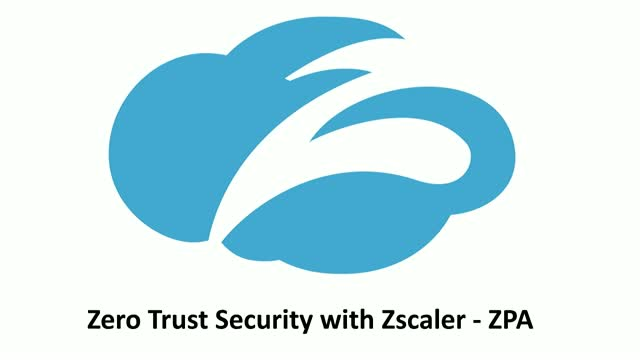 With our 100% cloud built secure platform, Zscaler can help you make the move to the cloud, securely.